What Back Injuries Are Most Common in Car Accidents? Millions of car accidents occur in the U.S. each year, causing countless injuries ranging from minor to disabling. One type of car accident injury that has the potential to cause the most damage to the body is an injury to the spine or other structures in the back. 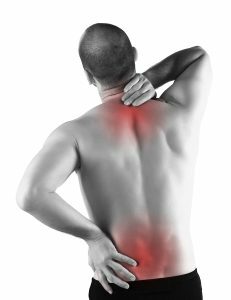 Sometimes, a back injury can involve paralysis and permanent disability. If you or a loved one has been injured in a car crash, contact a personal injury lawyer near Baltimore right away. An accident attorney can help you file a permanent disability claim, negotiate with the insurance company, and file a personal injury lawsuit if need be. Spinal cord injuries are one of the most serious types of injuries that may be sustained in a car crash. The delicate spinal cord provides the link between the brain and the body. Damage to this bundle of nerves can result in partial or total paralysis, which involves the loss of reflex function, movement, and sensation. Spinal cord injury victims often require extensive medical care for the rest of their lives. They may also be at risk of further complications, such as infections, pneumonia, spinal fluid leaks, and blood clots. A personal injury attorney can demand compensation to provide for a victim’s lifelong medical care. Intervertebral discs play a crucial role in spine health. They are cushion-like structures between the bones of the spine that enable flexibility and provide shock absorption. A disc herniation can occur due to severe trauma, such as trauma from a car crash. When a disc herniation occurs, the material on the inside of the disc becomes displaced through the exterior. The material can compress nerves, causing symptoms such as pain. The lumbar spine, or lower back, includes the largest vertebrae and is responsible for stabilizing the back. In addition to disc herniation, lumbar spine injuries may include a sprain, or damage to the ligaments, or a strain, which refers to damage to tendons or muscles. Injuries caused by rear end collisions can lead to significant medical bills, both for the driver at fault and the individual whose car was struck. Although a car accident attorney located in Anne Arundel can help you obtain compensation for these losses, it’s definitely a good idea to reduce your risk of a collision altogether. If you’re being followed too closely, an attorney at law would likely recommend changing lanes, if possible, or pulling over to allow the aggressive driver to pass. For more tips on rear end collisions, watch this video or consult a car accident attorney. This video explains a study that demonstrates that drivers tend to ignore how closely they are following the vehicles in front of them. They also tend to follow at the same distance regardless of speed. However, it’s critical to leave at least one car length of space for every 10 miles per hour. If you’re involved in a rear end collision despite using these safety tips, contact a car accident attorney for help. All employees have certain rights. Unfortunately, many employees aren’t quite clear on what those rights actually are. 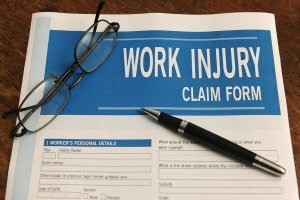 If you’ve been injured on the job or you’ve been diagnosed with an illness that you suspect is related to your job, you should contact a workers’ compensation lawyer as soon as possible. An attorney at law can advise you of your legal rights and explain workers’ compensation guidelines in your state. Additionally, your personal injury attorney can help you navigate the claims process. One way you can protect your workers’ compensation rights is to seek medical attention promptly. This is especially important if you’ve suffered a serious injury. If possible, before heading to the hospital, check with your company’s human resources department. Your company’s workers’ compensation insurance policy may require that you go to a hospital or doctor initially within a certain network. Otherwise, coverage may be denied. However under Maryland law you can meet with any doctor you choose. When consulting the doctor, explain precisely how your work responsibilities led to your injury. If your physician instructs you to avoid certain activities at work while recovering or to avoid work entirely for a period of time, obtain these instructions in writing. It’s important to follow your doctor’s discharge instructions carefully. If you fail to do so, your employer may try to claim that you’re purposely sabotaging your recovery to avoid work. Each state has different guidelines regarding deadlines for written notification of the injury. You can check with your workers’ compensation attorney to be sure that you’re submitting written notification in a timely manner. Submit written notification of the injury to your supervisor, company nurse, or human resources manager. Have your supervisor prepare an accident report or do so yourself if the supervisor refuses. The report should include details about your injury and how it occurred. Be sure to keep a copy of the report for your records. Your workers’ compensation attorney can help you file a claim for benefits. Once the claim is approved, you will be paid up to 2/3rds of your lost wages if you need to miss time at work tax free to recover from your injury. Your job is your livelihood, and you work hard to support yourself and your family. If you are injured in the workplace, it could affect your ability to perform your job normally. A worker’s compensation attorney near Baltimore can help you get the support you deserve for an injury sustained at work. When an injury at work happens, it is essential that you report it right away. Detail how and where the accident happened, along with the nature and location of your injuries. Be specific and be timely, as a delay could hurt your worker’s compensation case. Seek medical attention even if you think you aren’t seriously hurt, as you could have internal injuries that aren’t immediately apparent. Take a look at this infographic to learn more about what to do if you’re injured in the workplace. Please share with your friends and colleagues.